Bed and Breakfast in Chianti. 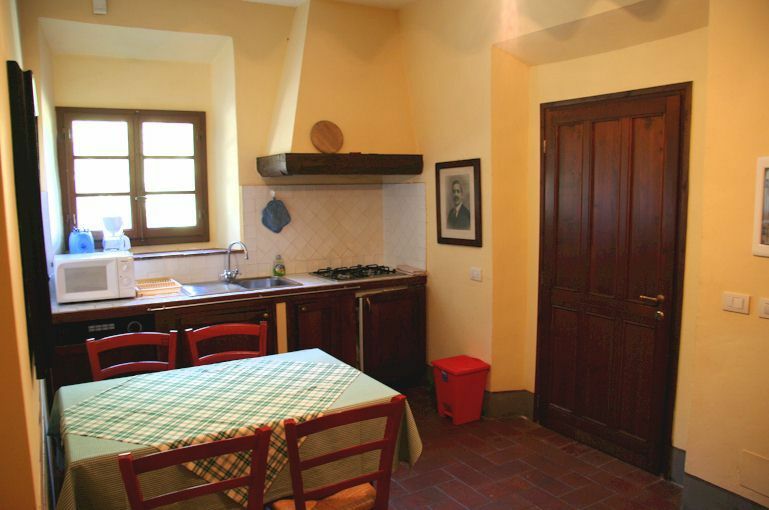 Rooms and holiday apartments in Chianti Classico, Tuscany, Italy. 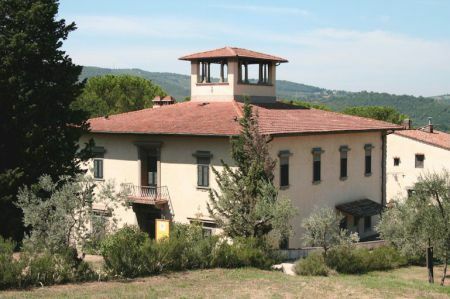 Vacation accommodations in a Tuscan winery villa - air conditioning available. Groups and wedding parties welcome! • Spacious rooms with private bathroom, for 2 persons, in our winery villa and nearby Casa di Caccia, with buffet breakfast. 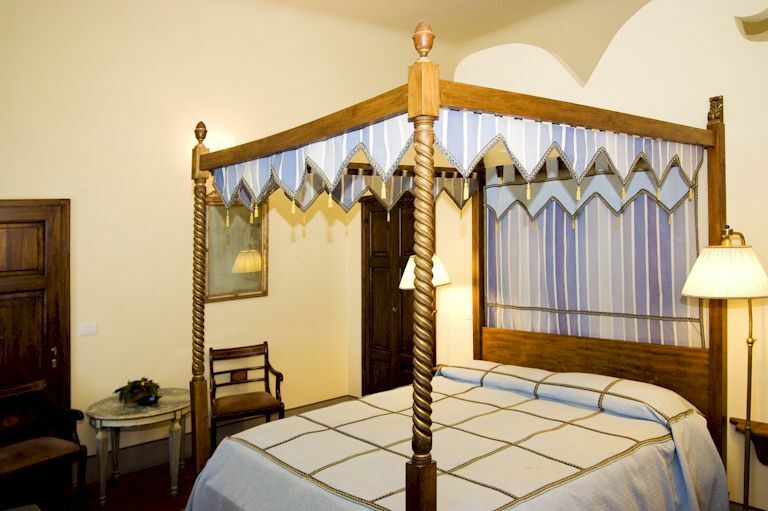 Our rooms are furnished with comfortable four-poster beds. Air conditioning is available upon request. More about our bed and breakfast rooms in Chianti. • Self-catering holiday apartments for 4 persons, in the farmhouse. Our apartments feature well-equipped kitchens, modern bathrooms and comfortable bedrooms. More about our holiday apartments in Chianti. • Our swimming pool with its panoramic view. Relax by the pool after a long day of sight seeing. Plunge in for a swim if the weather gets hot! Photos of our vacation rental in Tuscany. • Our restaurant for breakfast and open upon request for lunch and dinner. 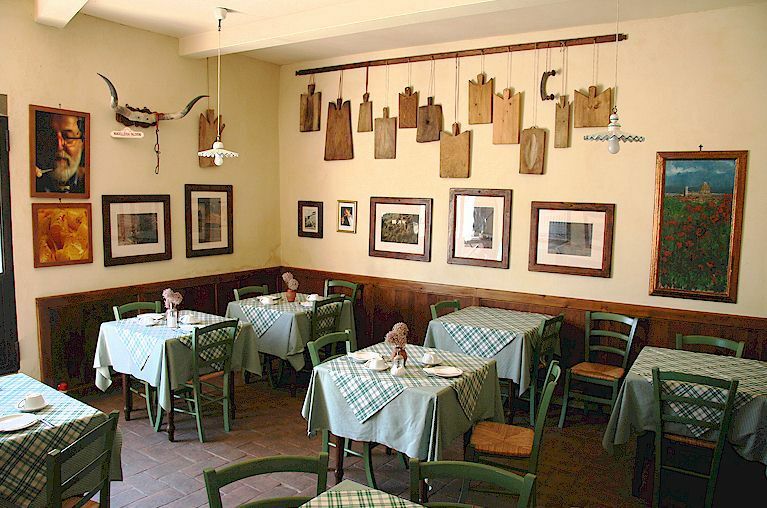 Traditional Tuscan dishes cooked for you on the spot using fresh local ingredients. On warm days, you may also enjoy your breakfast on our terrace. Cooking classes for small groups can be arranged. More pictures of our Tuscan restaurant and wine cellars. 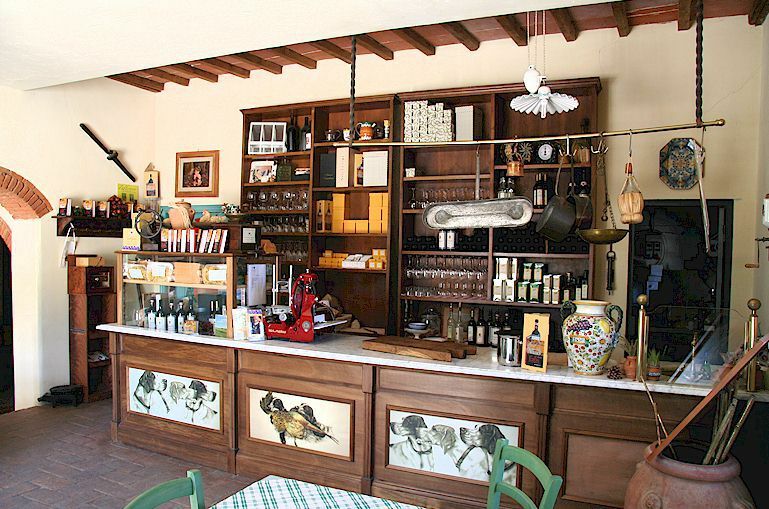 • Our shop where you can sample and buy the products of our Azienda Agricola. Our Chianti wines and extravirgin olive oil are vailable for purchase, as well as our saffron and saffron-flavoured food items. Tours of the winery and cellars can be arranged. More about our Tuscan wine and saffron. 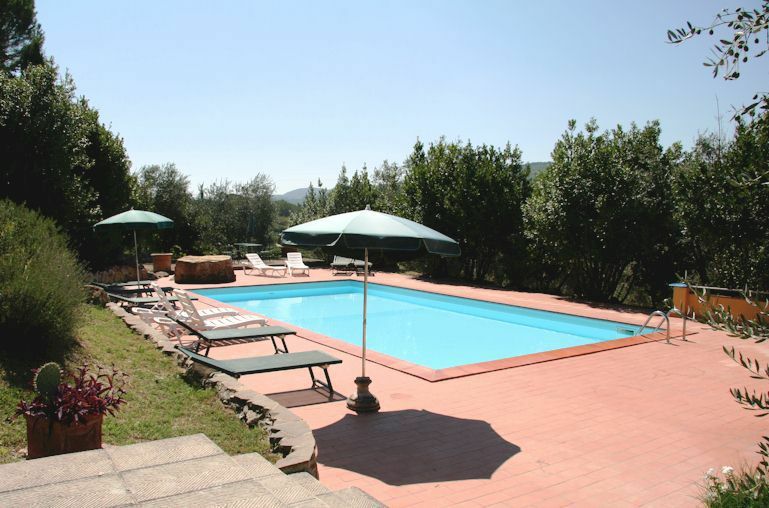 • A tranquil rural location convenient to Florence and Sienna. Corte di Valle is located just off the scenic Chiantigiana highway that winds through the Chianti Classico wine zone, from Florence to Sienna. 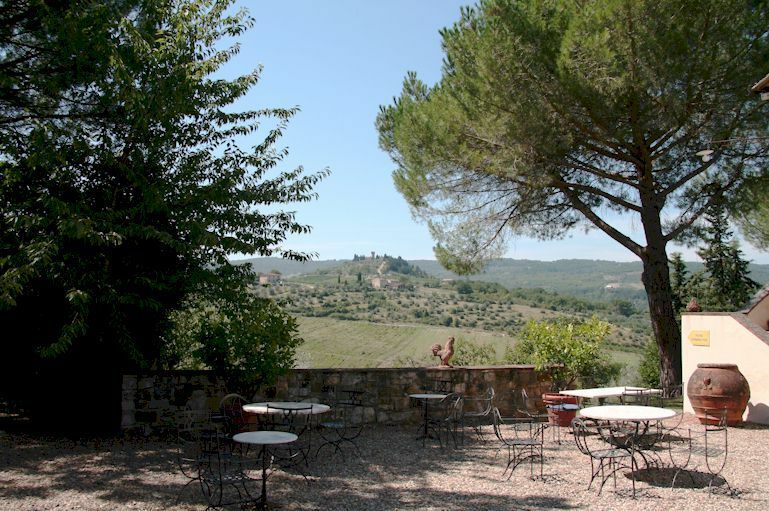 We are just 4 km from Greve in Chianti, the Chianti Classico market town. Florence is 18 km (35 minutes) away by car and the SITA bus stop is right across the road from Corte di Valle. More Corte di valle location details. All content copyright © Corte di Valle Tuscan villa accommodations 2000 - 2018.